Unfortunately, in the air conditioning repair industry it is a common occurance for an AC technician to show up at your home without the proper equipment and modules to diagnose and repair your system. This is not how Proline AC and Heating operates. Our team carries more tools, testing equipment and parts on their trucks than most “big name” AC repair companies. We believe in the getting the job done fast so your family can be comfortable, and the extra time we save by not running around to find AC repair equipment means that our customers pay less. 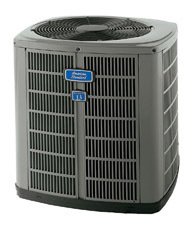 The next time your air conditioner needs repair, pleaser give Proline a call. We would not be here if not for our great customers and we appreciate the opportunity to serve you.